This package combining Bali & Gili Trawangan in 5 Days 4 Nights, includes transfers/shuttle service, excursions/sightseeing, accommodation, fast boat from Bali to Gili Trawangan (direct), flight to Bali on your return, guide, all entrance fees, tax & service charges. Entrance: All entrance fees, tickets, donations, etc to the places we visit during the tour. 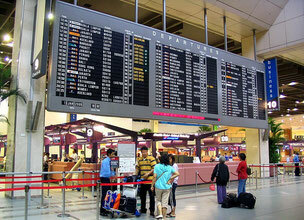 Day 1: Pick Up Service from Bali International Airport, Transfer to Hotel in Bali. Pick-up at your hotel/villa/resident at around 08.15 am – 08.45 am. Drive towards the west of the island via Munggu with a stop at Pura Sada at the village of Kapal, one of the public temple which is important for Balinese Hindu, built by the King of Mengwi around 12 century. The next stop is at one of the Balinese compound in Tua Village. You will be also taken for a short walk around the garden behind the house to discover its traditional home farming and plantation. You will have your coffee break in this house at the same time. On the way to Bedugul, a stop will be made at one of the village to have a look at the local people making the Hindu shrines. The trip continue to board a boat and cross the Beratan Lake to see the organic farming and strawberry hunting. 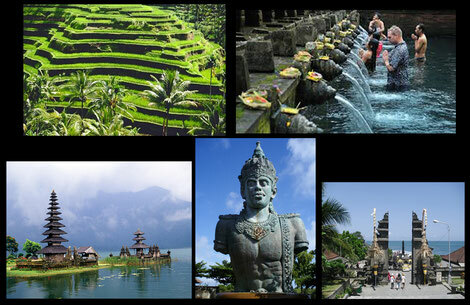 The Ulun Danu Temple set on the shore of the lake will be also beautiful scenery on the way. You will be escorted by our captain through the organic farming to get the idea of this wonderful agriculture; processing, distribution, and consumption of organic food. Your lunch will be served here as well. On the way back, we will enter Tirta Mampeh you will see a typical rain forest that Bali has, then make a short walk to find and see a holly and beautifull waterfall in the middle of the jungle. You can make a photo session in here. Drive back to your place via the beautiful countryside of Petang. A stop will be made at the village where people make the roof of the temple shrine made of palm fibre. You will be back to your place in the afternoon. 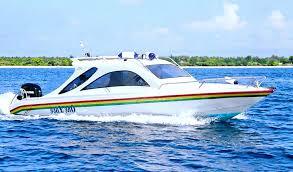 Early pick up from your hotel in Bali to the embarkation point (Tanjung Benoa or Serangan Island, Sanur), depends on which fastboat we'd take. Cruising for approx 2 hours to Gili Trawangan, arrive in Gili Trawangan, check in at the hotel, free program. 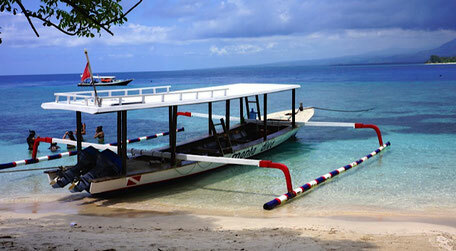 After breakfast enjoy a special tour to explore other gilis by glass bottom boat. Your full day tour will take you to the snorkeling spots, Gili Meno bird park, and explore Gili Air.